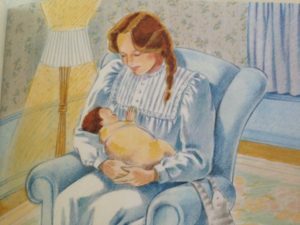 Synopsis: The mother sings to her sleeping baby: “I’ll love you forever / I’ll like you for always / As long as I’m living / My baby you’ll be.” She still sings the same song when her baby has turned into a fractious 2-year-old, a slovenly 9-year-old, and then a raucous teen. So far so ordinary–but this is one persistent lady. When her son grows up and leaves home, she takes to driving across town with a ladder on the car roof, climbing through her grown son’s window, and rocking the sleeping man in the same way. Then, inevitably, the day comes when she’s too old and sick to hold him, and the roles are at last reversed. Looking at the cover, what do you think that this book is about? What do you think the mother of this boy is thinking right now? Do you drive your parents crazy sometimes? Do they drive you crazy? Do you love them anyway? When you are at school do you ever think about your family? What do you think about? Do you think they think about you? Have the kids repeat the refrain with you. What is the Mom saying to her son? Ask if the students know what syllables are. Have them clap out the syllables in the refrain. Do your parents sing to you? What songs do they sing? How did the mother?s love help him as he grew up? Make a mobile like the one on the last page of the book, with pictures of you and your family. Draw a portrait of your family today, and on the back of the paper, a portrait of your family when you are all grown up. What are your clothes like? What pets do you have? What is your hair like? Teach the other children a song your family likes to sing. Examples: Michael row your boat ashore; the farmer in the dell. Teacher: Alisa Soderquist, Thomas Jefferson High School for Science and Technology, Alexandria, Virginia. Language skill focus: Reading, writing, speaking, and listening. 3. Austen’s writing has been updated and dramatized and, most likely, will continue to be. Materials:The novel Pride and Prejudice [online version] Miscellaneous scenes that your community would consider acceptable from Clueless , the recent teen soap opera loosely based on Austen’s Emma. Although its setting and characters are certainly dated, Pride and Prejudice has remained a popular novel since its publication in 1813. Why do you think it has retained its popularity? It’s a great love story with twists, turns, and obstacles, and the right girl(s) and guy(s) ending up with each other. 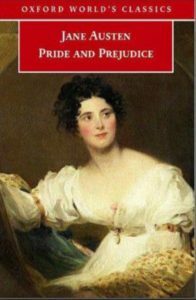 In addition to the multifaceted Elizabeth and Darcy, the novel presents stock characters we all understand (the interfering, well-intentioned but ridiculously foolish mother; the pompous Mr. Collins; the snobbish Miss Caroline Bigley; and the scoundrel Wickham). 3. Once students have distilled the plot and characters, have them work as a class to update these elements into a modern-day scenario. To illustrate what you have in mind, consider showing appropriate scenes from the movie Clueless, made in the 1990s and loosely based on Austen’s novel Emma. 4. Then with the class, divide the modern-day scenario into a number of scenes that, taken together, will cover the entire plot line. Assign a different scene to each of several small groups who will draft an actual script for it. The script of a scene must contain both dialogue (the conversations and asides of the characters) and stage directions (descriptions of setting, characters, and action). Not all descriptions show up in stage directions, however; sometimes playwrights drop descriptions of setting and of characters right into characters’ dialogue. The characters might not resolve a problem or an issue in a scene, but a scene must contain a problem or an issue that the characters are considering, and a scene must end in a satisfying way rather than simply trail off. How trendy should the locales and clothes be? Will the characters speak in a local dialect or in a language understandable throughout the English-speaking world? How do adapters handle content that in the 21st century smacks of sexism but that is critical to the plot or theme as envisioned by the original author nearly two hundred years ago? 7. After groups have completed their first drafts, share with them a checklist such as the following, giving them time to revise as necessary so that they can answer “yes” to all the questions. Does the dialogue or do the stage directions clearly show the characters contemplating and dealing with a problem or an issue? Does the scene end naturally, rather than artificially? Is the dialogue realistic and easy for an actor to say? Have I checked to make sure capitalization, spelling, and matters such as agreement, comparison, and pronoun reference are correct? Each student in a group should get a copy of that group’s final manuscript. The members of the group should use their scripts to read the scene for the rest of the class. They may use props during their reading. As appropriate, actors should read or perform stage directions. 9. Once each group has performed, the audience should comment on strengths of the adaptation and parts of it that were unclear or need improvement. Adaptations Instead of having small groups working on their own to adapt different sections of the scenario, select one section for the whole class to work on together—with you. appraisal Definition: An act or instance of assessment. Context: When Elizabeth is able to come to a true appraisal of Mr. Darcy, she realizes his fine qualities and accepts his marriage proposal. astute Definition: Having or showing shrewdness and perspicacity. Context: Jane Austen’s Pride and Prejudice includes astute observations about the nature of love and marriage. degradation Definition: Decline to a low, destitute, or demoralized state; moral or intellectual decadence. Context: Mr. Darcy feels that a connection with Elizabeth’s unpolished family will be a source of degradation. discernment Definition: The quality of being able to grasp and comprehend what is obscure. Context: Elizabeth prides herself on her discernment when judging people and must learn that she has made a mistake in the case of Mr. Darcy. orchestrate Definition: To arrange or combine so as to achieve a desired or maximum effect. Context: Mr. Darcy orchestrated accidental meetings in order to have contact with Elizabeth. scoundrel Definition: A disreputable person. Context: The scoundrel Mr. Wickham lies, cheats, and takes advantage of innocent people. suitor Definition: One who courts a woman or seeks to marry her. Context: Jane Austen is believed to have had one or two serious suitors in her life, but she never married. unrequited Definition: Not reciprocated or returned in kind. Context: For some time, Mr. Darcy had to live with the knowledge that his love for Elizabeth was unrequited. 1. Consider the kinds of marriages that appear throughout Pride and Prejudice, including the marriage of Elizabeth and Darcy. What kinds of relationships between a man and a woman did Jane Austen idealize? 2. Throughout Pride and Prejudice , Austen makes many statements about personal relationships. What are these statements? Are they still valid today? Why or why not? 3. The members of British society in Pride and Prejudice are very class conscious. Debate whether class consciousness is a part of American society. If not, do you think that affects our enjoyment and understanding of Austen’s novel? Why or why not? 4. Identify the main characters in the novel and discuss what you feel is Austen’s attitude toward each of them. Are the verbal portraits she paints flattering or otherwise? 5. Debate whether Elizabeth Bennet would still be considered a remarkable woman in the modern-day United States. 6. Although its setting and characters are certainly “dated,” Pride and Prejudice has remained a popular novel for almost 200 years. Why do you think this is the case? You may ask your students to contribute to the assessment rubric by determining what constitutes a clear and well-paced performance. Ask students to write a similar wedding news story about Elizabeth and Darcy. Their stories can include the traditional information—site of the nuptials, the names and careers of the parents of the bride and of the groom, a list of wedding attendants, and a description of what the bride and groom wore—as well as fictionalized quotations and anecdotes about the courtship by others in the novel. You may want to enhance this activity by asking your students to research wedding customs of Austen’s time. In Pride and Prejudice, Austen displays a keen insight into human relationships through her portrayal of the manner in which Darcy and Elizabeth overcome their prejudices and learn to love each other. Ask your students whether they have ever had to overcome prejudice in any of their personal relationships—not only with romantic partners but also with friends and family members. Ask students to consider the sources of their misperceptions and prejudices and the steps they took to clear them up; then lead a discussion about these experiences. What dramatic elements might they contain? When the discussion is complete, ask your students to write a brief scene based on the preceding discussion or from a short story or play in which some form of prejudice or misunderstanding gets in the way of two characters falling in love with each other. Then have students trade stories with one another, read one another’s work, and suggest ways the authors might depict the characters overcoming their prejudices. Give the writers time to finish their stories by resolving the conflicts they had set up. Objectives: Students will improve reading and listening skills and learn new vocabulary. Introduction: The Emperor’s Nightingale is a story by Hans Christian Andersen, a Danish author, set in China. In the story, the Emperor of China discovers a nightingale, a bird which sings so beautifully that its song restores the ailing Emperor’s health. The Emperor of Japan sends a mechanical singing bird to the Emperor of China, and his court prefers the artificial bird to the real bird — until the Emperor of China falls ill again. The nightingale come back, sings the Emperor back to health, and asks the Emperor to keep it secret. When the servants arrive in the morning, they are amazed to find the Emperor well. How did the Emperor find out about the Nightingale? Why was he angry? Where did the Chief Councillor go first when he was looking for the Nightingale? How did the Kitchen Maid know where the Nightingale lived? What did the Nightingale’s song remind the Kitchen Maid of? The Chief Councillor? The Grand Master? The Emperor? Why did the Emperor cry? Where did the artificial nightingale come from? Why did the real Nightingale fly out the window? Where did she go? Who broke the artificial nightingale? Who had to tell the Emperor about it? Who did the Grand Master say wore out the artificial nightingale? Was that true? Why did he say that? Was the bird really fixed? Who saved the Emperor’s life? How? Does the Nightingale want to live in the palace? Where does she want to live? Did the Fisherman have an easy life? Did the Emperor know about the Fisherman’s life? Before the Nightingale came to court, how did the Emperor learn about his kingdom? Were the Chief Councillor and the Grand Master wise and honest? How will this help the Emperor be a better ruler? talked about her. She became a fad. Can you name some things which are fads today, things which everyone talks about, everyone wants, but that everyone could forget about tomorrow? Why do people value these things? Malvina Reynolds wrote a song based on the story. Have students read the lyrics and discuss how the verses connect with the story. Is Reynolds retelling the story or using the story to make a different point? Divide students into groups and have each group choose a point to write about. Challenge students to write their own verses. Andersen was Danish, and didn’t visit China or Japan. Why did he choose to set this story in Asia? Many 19th century European artists, including writers, were fascinated by Asia, seeing it as the embodiment of mystery and wonder. Andersen might have chosen China as the setting for his story in order to make it more romantic. Have students prepare a Venn diagram comparing China and Japan during the 19th century. Objective: To learn about the history and origin of Valentine’s Day. Valentine’s Day is a special occasion celebrated by millions all over the world. February 14 is the day the whole world celebrates Valentine’s Day. There are many ways people from different countries observe this eventful day. But before we give you interesting Valentine’s Day facts, we give you a brief history of how Valentine’s Day started. The “day of love” also known as Valentine’s Day is named after a Christian martyr named Valentine who performed secret weddings in Rome; a ceremony that was prohibited by the Roman Emperor Claudius II. Valentine was executed as a result of his opposition to the marriage ban ordered by the emperor. Due to his heroic acts, Valentine was canonized as the patron saint of love. 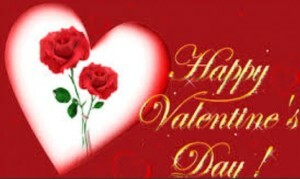 It was in the 17th century that Valentine’s Day on February 14 started to become popular as the day of love. Friends, family members, and loved ones then started the exchange of small tokens of affection such as flowers, poems, greeting cards, and chocolates among many others. Today, millions of people send out ready-made Valentine’s cards and electronic greeting cards to loved ones. It is believed that almost 1 billion Valentine’s Day cards are being sent worldwide every year in during this special occasion. Objects that are most commonly associated with Valentine’s Day are hearts, flowers, chocolates, candle-lit dinners, doves, and Cupid, the Roman god of love. Other popular gift items given out during Valentine’s Day are teddy bears and cuddly stuffed toys. Valentines- a greeting card that you send to a person you like or love. (Example: A romantic text message or card that says. “Be my Valentine.” This is an invite that men use when they invite women out on a date for Valentine’s Day. A Valentine (person)- A person you love or have a romantic relationship with. Cupid- the ancient Roman god of love. Cupid is represented by a baby boy with wings. He also has an arrow that he uses for two people to make them start to love each other. Arrow– an sharp object used by Cupid to make people attracted with one another. Date- special activity for people who have romantic relationships with each other. Dates usually include eating a meal together or simply spending quality time in each other’s company. Bouquet– a term used to describe a bundle or group of flowers beautifully arranged and given to women. Men give bouquets of flowers to women with whom they are in relationships with. Americans send greeting cards to friends and family on Valentine’s Day. On Valentine’s Day, couples usually go to dinner dates to celebrate the day of love. Children at school celebrate Valentine’s Day through arts and crafts. They create homemade gifts such as heart-shaped greeting cards, paper roses, and chocolates for their family members, friends, and teachers. A lot of Americans celebrate Valentine’s Day with other special occasions such as marriage proposals and weddings. Although widely celebrated in the United States, Valentine’s Day is not a public holiday. 1. Saint Valentine’s is also known as? 2. What is the name of the Roman emperor who banned marriages in 270 AD? 3. Who is the Roman God of love? 5. How many Valentine’s Day greeting cards are being sent out every year worldwide? 1. Valentine’s Day is ______________ on February 14th each year. 2. Valentine’s Day is a popular ____________ for marriage proposals and weddings. 3. Flowers and ___________ are famous presents to give during Valentine’s Day. 4. In the United States, it is a custom to send greeting cards called _________________. 5. A popular symbol of Valentine’s Day is Cupid carrying a bow and an ____________. 6. ____________ is a term describing a person you love. 7. Couples usually go out on ___________ on Valentine’s Day. 8. When couples spend quality time together, they have a __________. A Valentine’s Day COLOR that that rhymes with, sink. A popular Valentine’s Day COLOR rhymes with the word, bed. The Roman God of Love that rhymes with stupid. Things that you give on Valentine’s Day that rhymes with lift. A written note you give that rhymes with yard. What cupid carries that rhymes with go. What activity couples do that rhymes with late.